This year for the Humphries family vacation we decided to meet half way in Colorado. 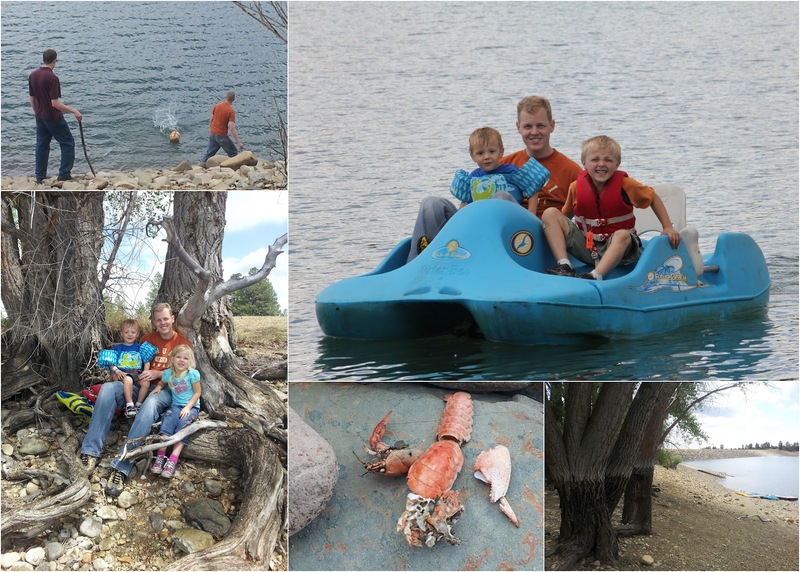 We stayed in Mancos State Park, about an our out of Durango, Colorado. As always, the weather is something we wish will collaborate but can't control. Last year I froze in the morning. This year we hid under trees, canopies or Todd's parent's RV to avoid the torrential rain and sometimes hail that kept us on our toes. Our family arrived about 90 minutes prior to the Utah Humphries. When we got there it started to sprinkle. By the time the rest of the group arrive it was pouring rain. It made it hard to set up camp. All the beds in the RV were occupied that night because it got dark before the rain stopped and we were unable to set up all of the tents. The mornings were great but every afternoon we would get a little rain. The kids had fun running through it and after we were all set up, it really wasn't bad. The funny thing is that all the time we were there the state was enforcing a fire ban that included fire pits so we could never make a fire and roast marshmallows. The members of the Mancos Ward we attended told us they have been praying and fasting for rain since it hadn't rained for weeks and they had suffered from a fire just the previous week. I took a photo of the mountains from outside the chapel. They were totally black. 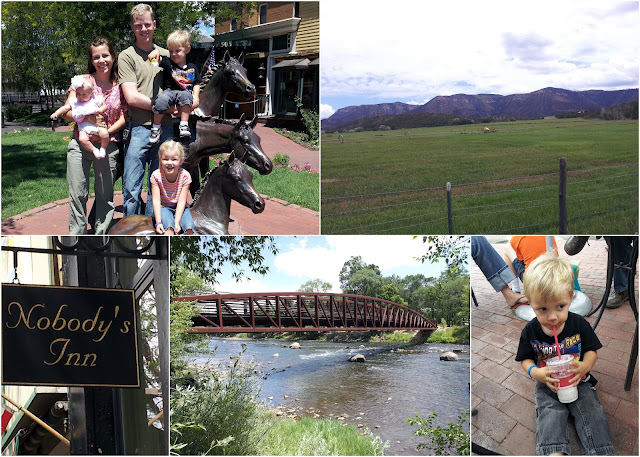 On Wednesday we went to Durango to visit the town. It has a cute downtown geared towards tourists. We visited the Durango & Silverton Narrow Gauge Railroad Train Museum. Carson ABSOLUTELY LOVED IT. 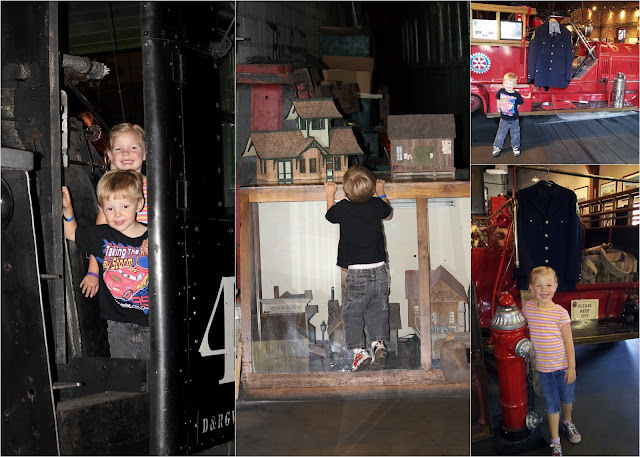 He cried every time we moved from one exhibit to the next because he feared we were leaving the trains. I think I walked through everything at least twice. I love the center picture above. It really shows how excited he was to see everything. He didn't want to miss a thing. He kept repeating "Look mommy, train!" I didn't know how much he liked them until then. 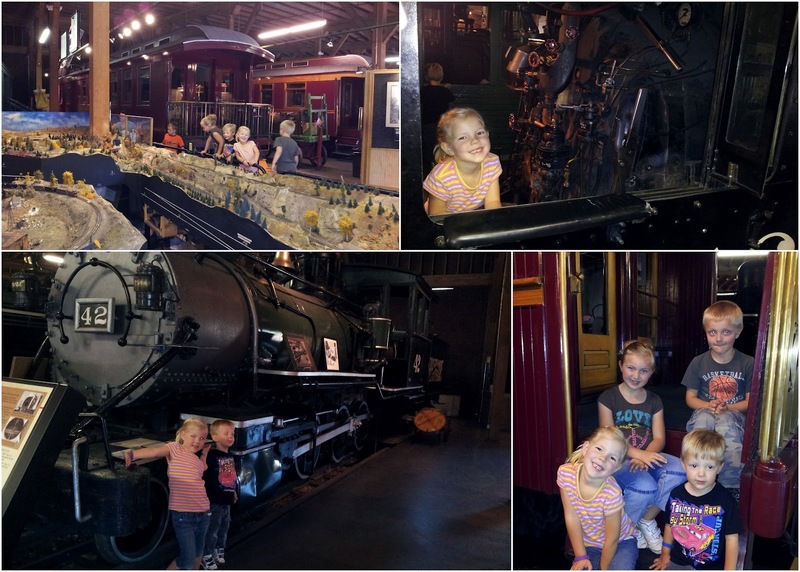 They had an incredible model train display. It even had a working under ground mine with miniature miners busy digging for coal. 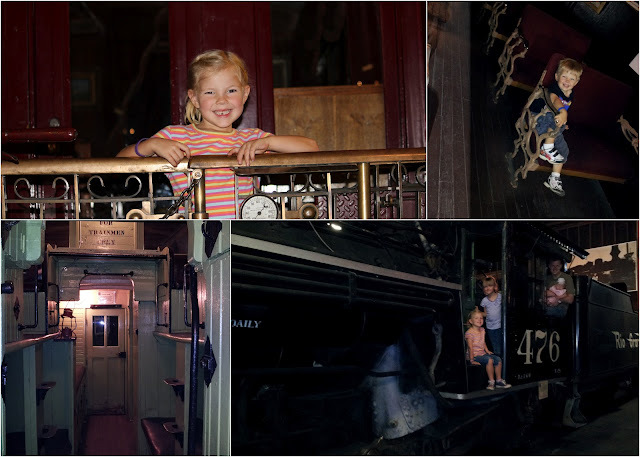 The kids got to sit inside one of the train's engineer cabins (I don't remember the proper term for it). It looked like a pretty complicated job. 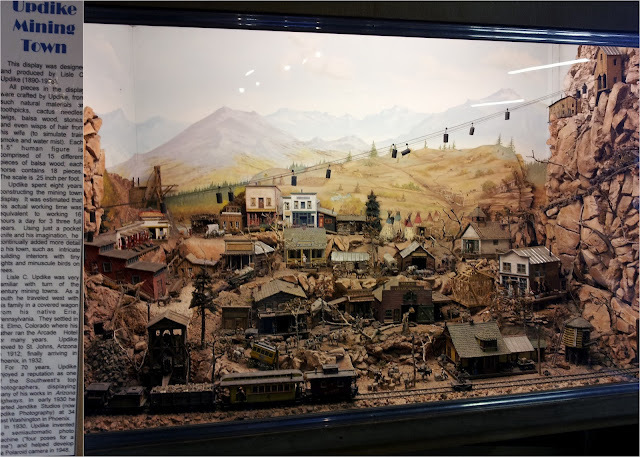 Another cool thing to see was the miniature Updike mining town they had on display. Mr. Updike grew up in a mining town similar to the one he created from scratch many years later. It took the equivalent of working 16 hours days for three years to complete the project. The details are incredible. He used toothpicks, cactus needles, twigs, and rocks to craft the town. He even used a lock of his wife's hair to simulate train smoke. 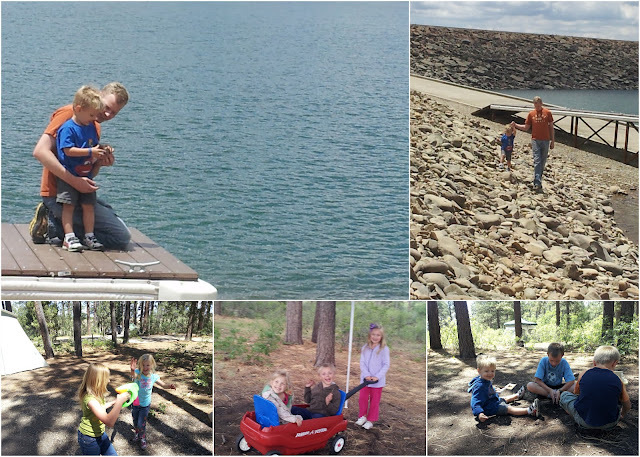 The kids enjoyed camping a lot. 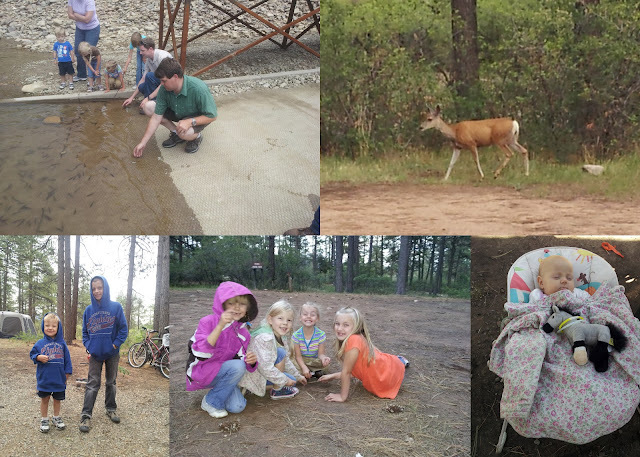 They had fun playing in the dirt, with pine needles and sticks, and looking for deer. Carson liked hanging out with his big cousin Heber, with whom he shares his birthday. They were so cute wearing matching sweatshirts. Most of my baby clothes for Stella are summer clothes. So she was wrapped in a blanket a lot of the time. We rented a paddle boat one afternoon. Todd, Carson and Graham got to ride on it for only a few minutes before they had to paddle back to shore because a storm came through. It rained hard.We even had some pea size hail which, although small, still hurt whenever it hit. At first we hid under some trees to wait it out but they weren't providing much protection so we eventually just jumped in the car and headed back to camp. Luckily the storm did pass before our rental time expired so all those who wanted to ride got a chance to do it. Todd's sister Shiree and I paddle all the way across the lake to the other side and back. It took us 20 minutes to do the whole thing. It was a lot of fun. The paddle boat was hard to steer, so we had to keep correcting our direction, which slowed down our progress, but it was excellent leg exercise. Even Emilia, who absolutely refused to get on the boat eventually went for a ride. We could tell by the water line on the tree trunks that the lake was really low compared to previous years. I enjoyed sitting on the water's edge at sunset looking at the ripples the fish formed as they jumped out the water and trying to guess where the next one would appear. Todd is famous for his rock skipping skills. He took Caron to look for skipping rocks around the lake and then the two had a good time throwing them in the water. Back at camp the kids enjoyed playing with Grandma's bubble machine, pulling each other on wagon rides and simply playing in the dirt. We also went to Mesa Verde to see the cave dwellings the Puebloans (500 -1300 AD) built and lived in. It's amazing how well preserved they still are. 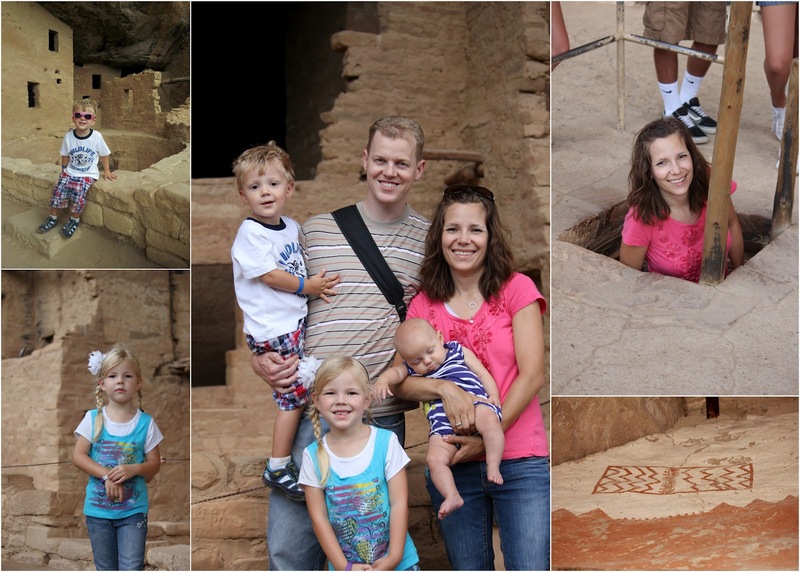 I got to enter a kiva, an underground room used for religious rituals and possibly shelter during really harsh weather. It was interesting to learn about the people that inhabited the Americas before Columbus discovered our continent. Carson had some cool pink Dora sunglasses he wore. They made him look adorable. Todd was cute wearing Emilia's red heart glasses too. To reach them we had to hike down switch backs and climb back up ladders. Carson was hot and tired and wanted to be carried a lot but every time we came across a ladder, he got off Todd's arms and did it all by himself. He thought it was great fun. Stella didn't like anyone holding her but me and aunt Breanne. 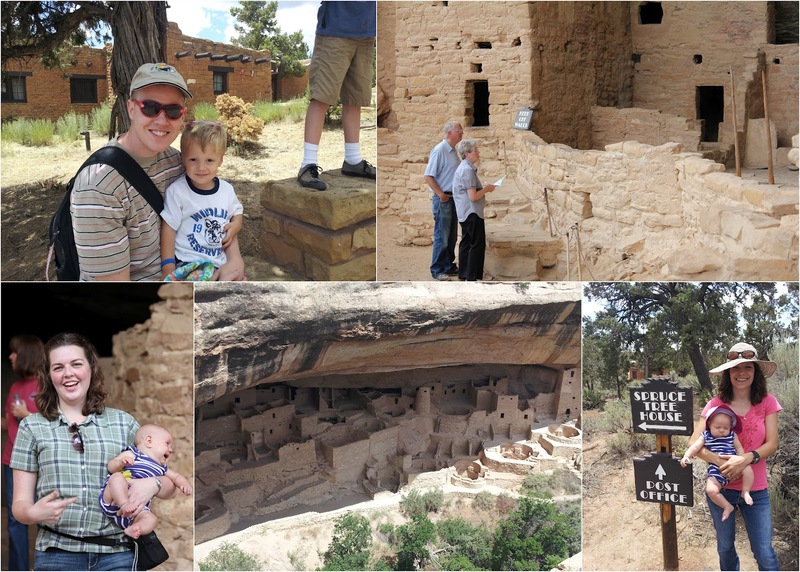 Even Breanne couldn't console her during the Mesa Verde excursion. She finally fell asleep in my arms during one of the hikes to the dwellings and I was able to enjoy the trip a bit more. Her screaming made it really easy to keep track of where others in the group were. Whenever I didn't have her, I would just listen for her and head that direction, although sometimes I really wished I could go the opposite way. 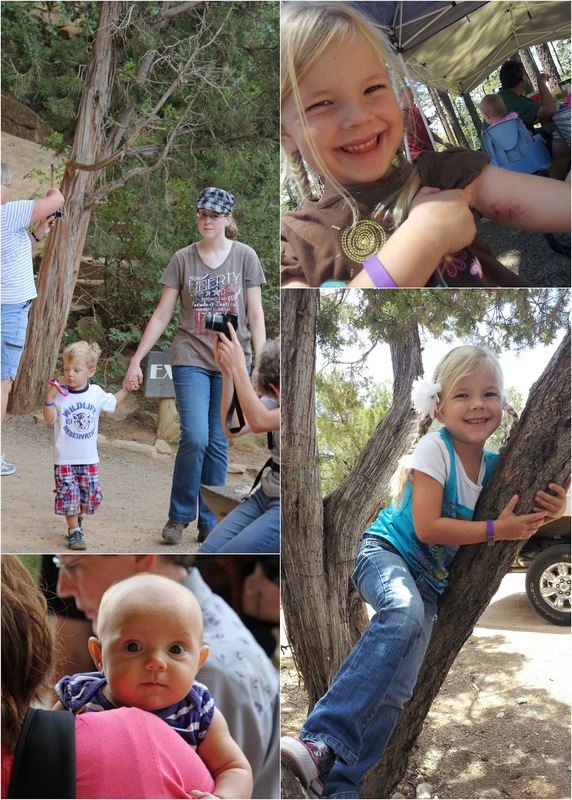 Emilia climbed on a tree at lunch time during the Mesa Verde trip and skinned her inner arm when she slipped as she was getting off. She kept her arm to her side the entire day and I never heard her complain. We just had to hold her by her left arm during our walk. 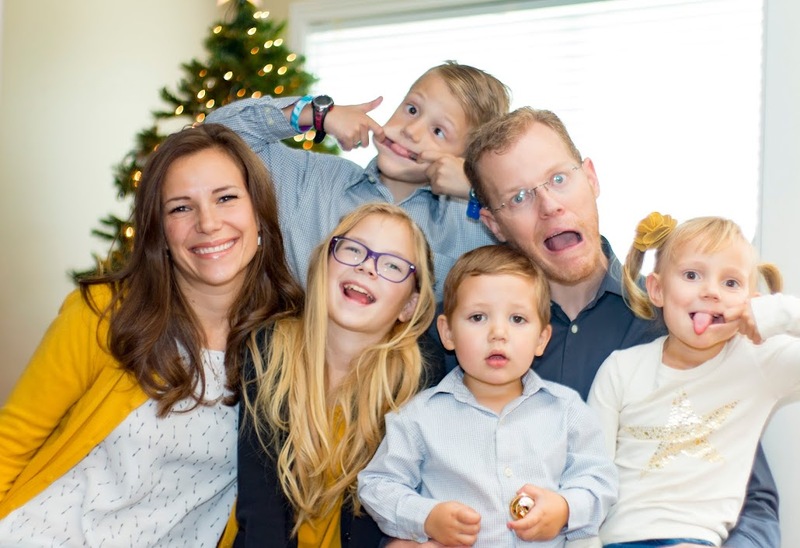 It was fun to get together as a family. My favorite thing was watching the kids play together. They only see each other once or twice a year but every time they get together it seems as if they see each other all of the time. It was also great to unwind and recharge.